Batumi is the capital of Autonomous Republic of Adjara and the second-largest city of Georgia, located on the coast of the Black Sea in the country's southwest. It is situated in a Subtropical Zone at the foot of Caucasus. Much of Batumi's economy revolves around tourism and gambling, but the city is also an important sea port and includes industries like shipbuilding, food processing and light manufacturing. Since 2010, Batumi has been transformed by the construction of modern high-rise buildings, as well as the restoration of classical 19th-century edifices lining its historic Old Town. Black Sea Arena is an indoor arena located on the coast of the Black Sea in Shekvetili, Guria, Georgia, some 45 km north of Batumi, the country's second largest city. The venue, designed by the architects from the German company Drei Architekten, is the largest open concert hall in the Caucasus. The auditorium has a capacity of 10,000 seats in circular grandstands. In chess, International Arbiter is a title awarded by FIDE to individuals deemed capable of acting as arbiter in important chess matches. 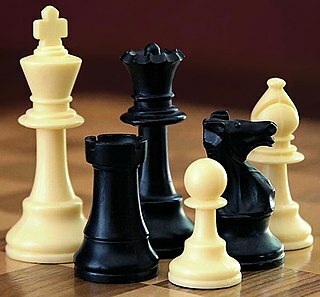 The arbiters are responsible for ensuring the rules and laws of chess are adhered to. The title was established in 1951. Arkady Vladimirovich Dvorkovich is a Russian public servant and economist, who was Deputy Prime Minister in Dmitry Medvedev's Cabinet from 21 May 2012 until 7 May 2018. He was previously an Assistant to the President of the Russian Federation from May 2008 to May 2012. Kirsan Nikolayevich Ilyumzhinov is a Russian businessman and politician. He was the President of the Republic of Kalmykia in the Russian Federation from 1993 to 2010, and was president of FIDE, the international governing body for the game of chess, from 1995 to 2018. He has also been in the forefront of promoting chess in schools in Russia and overseas. He is the founder of Novy Vzglyad publishing house. 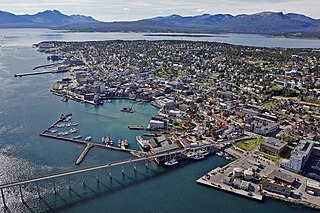 Tromsø is a municipality in Troms county, Norway. The administrative centre of the municipality is the city of Tromsø. Outside Norway, Tromso and Tromsö are alternative spellings of the name. Countries in italics denote those fielding teams in the open event only. 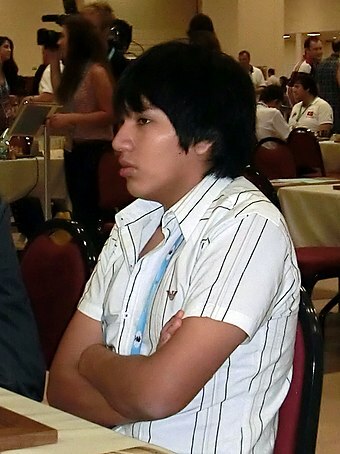 Jorge Cori of Peru won the individual gold medal in the Open event. Average ratings calculated by chess-results.com based in September 2018 ratings. The Chess Olympiad is a biennial chess tournament in which teams from all over the world compete. FIDE organises the tournament and selects the host nation. The 34th Chess Olympiad, organized by the Fédération Internationale des Échecs and comprising an open and women's tournament, took place between October 28 and November 12, 2000, in Istanbul, Turkey. There were 126 teams in the open event and 86 in the women's event. 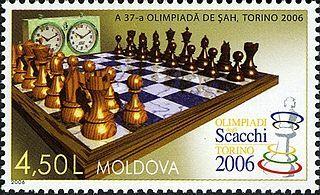 The 33rd Chess Olympiad, organized by FIDE and comprising an open and a women's tournament, took place between September 26 and October 13, 1998, in Elista, Kalmykia, Russia. There were 110 teams in the open event and 72 in the women's event. Arturs Neikšāns is a Latvian chess Grandmaster (2012) and FIDE Trainer (2012). Ilze Bērziņa is a Latvian chess player who holds the title of Woman Grandmaster (2009). She won the Latvian Chess Championship for women in 2004, 2008 and 2012. Igor Viktorovich Kovalenko is a Ukrainian chess grandmaster now playing for Latvia. Mai Narva is an Estonian chess Woman International Master (2014). Arturs Bernotas is a Latvian chess player. He was awarded the FIDE Master title in 2015. Haik M. Martirosyan is an Armenian chess player. He was awarded the title Grandmaster by FIDE in 2017. The women's event at the 43rd Chess Olympiad was held from 24 September – 5 October 2018. It was contested by a record number of 151 teams, representing 146 nations. 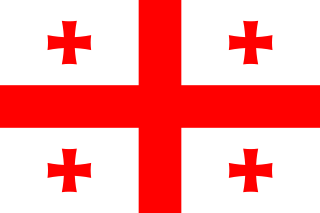 Georgia, as host nation, fielded three teams, whilst the International Braille Chess Association (IBCA), the International Physically Disabled Chess Association (IPCA), and the International Chess Committee of the Deaf (ICCD) each provided one team. A total of 747 players participated in the open event. 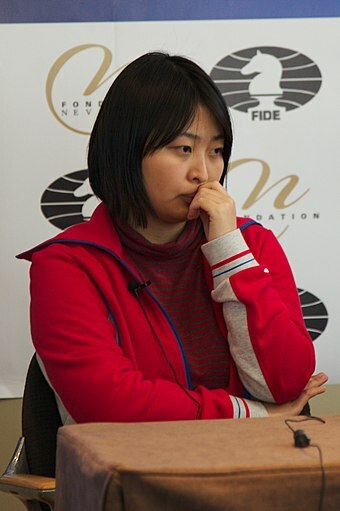 Inga Charkhalashvili is a Georgian Woman Grandmaster (WGM) (2005). She is a winner of Georgian Women's Chess Championship (1999). ↑ "FIDE Calendar 2018". fide.com. FIDE. Retrieved 16 September 2016. ↑ Albert Silver (31 August 2016). "FIDE Congress – New chess laws, championships and more". ChessBase . Retrieved 21 September 2016. ↑ "FIDE Calendar 2017". fide.com. FIDE. Retrieved 16 September 2016. ↑ "43rd Olympiad Batumi 2018 Open – Alphabetical list of players in the Open event". Chess-results.com. ↑ "43rd Olympiad Batumi 2018 Open – Alphabetical list of players in the Women's event". Chess-results.com. 1 2 3 4 "43rd Olympiad Batumi 2018 Open". Chess-results.com. 1 2 3 "43rd Olympiad Batumi 2018 Women". Chess-results.com. 1 2 "43rd CHess Olympiad Batumi – Invitation" (PDF). Batumi Chess Olympiad Organising Committee. pp. 9, 19. Retrieved 24 September 2018. ↑ "2018 Batumi Chess Olympiad Principals". FIDE. 8 June 2018. 1 2 3 "The best players (Final Ranking after 11 Rounds) – Open". Chess-results.com. 1 2 3 "The best players (Final Ranking after 11 Rounds) – Women". Chess-results.com. 1 2 "Arkady Dvorkovich: Russian politician crowned world chess head". BBC. 3 October 2018. ↑ "2018 Chess Olympiad: Bidding Procedure". FIDE. 25 September 2013. ↑ "FIDE Handbook: Regulations of the Chess Olympiad" (PDF). FIDE. ↑ "85th FIDE Congress: General Assembly Minutes and Annexes". FIDE. 27 October 2014. Retrieved 16 September 2016. 1 2 "FIDE Congress Tromso, Norway General Assembly 11- 14 August 2014" (PDF). Retrieved 17 September 2016. ↑ "Kasparov Replies: "Whom Will You Support?"". 8 June 2014. Retrieved 16 September 2016. ↑ "Batumi to Host Olympiad-2018". Chess-News.ru. 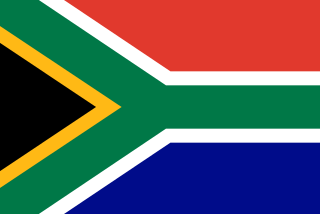 14 August 2014. Retrieved 16 September 2016. ↑ "The 43rd Chess Olympiad Has A New Goodwill Ambassador – The Legendary Chess Player Judit Polgár". official website. 27 June 2018. Retrieved 24 September 2018. ↑ "World mezzo-soprano – the amazing, unrepeatable "Carmen" is the Goodwill Ambassador of Batumi Chess Olympiad!". official website. 29 May 2018. Retrieved 24 September 2018. ↑ "43rd Chess Olympiad Batumi – Invitation" (PDF). Batumi Chess Olympiad Organising Committee. p. 9. Retrieved 24 September 2018. ↑ "Batumi 2018: The Officials Visited A Sports Complex". official website. 28 March 2018. Retrieved 24 September 2018. ↑ "43rd Chess Olympiad Batumi – Invitation" (PDF). Batumi Chess Olympiad Organising Committee. p. 19. Retrieved 24 September 2018. 1 2 "Black Sea Arena uses Prolyte for its technical installation". Prolyte Group. Retrieved 24 September 2018. ↑ "Concert hall "Black Sea Arena"". Ajara TV. 24 May 2016. Retrieved 24 September 2018. ↑ "Christina Aguilera performs hits at Black Sea Arena Pop star invites Georgian ensemble on stage". Agenda. 1 August 2016. ↑ "Black Sea Arena: German band Scorpions rock Georgia". Agenda. 22 August 2016. ↑ "Aerosmith to hold concert in Batumi on May 20". Tabula. 14 November 2016. ↑ "Batumi State Musical Centre – About us". Batumi State Musical Centre. Retrieved 24 September 2018. ↑ "Chess Olympiad 2018 to take place in Batumi, Georgia". Chessdom.com. 13 August 2014. Retrieved 24 September 2018. ↑ "Opening Ceremony – The legend of Chess From India to Georgia. From a game to an art and a sport!". official website. 24 September 2018. 1 2 3 "Spectacular Opening Ceremony of the 43rd Chess Olympiad in Batumi". FIDE. 23 September 2018. 1 2 Sagar Shah (24 September 2018). "The best ever chess opening ceremony!". ChessBase. ↑ "FIDE Directory – Netherlands Antilles". FIDE. ↑ "43rd CHess Olympiad Batumi – Invitation" (PDF). Batumi Chess Olympiad Organising Committee. p. 11. Retrieved 24 September 2018. ↑ "Teams – Open". official website. Retrieved 24 September 2018. ↑ "Back in Chess Olympiad after 12 years, Vishwanathan Anand hopeful of a good show". The News Minute. 15 September 2018. Retrieved 24 September 2018. ↑ "Eugene Torre named head coach of PH team to Chess Olympiad". Rappler. 23 July 2018. 1 2 3 4 "USA favourites as Olympiad set to begin in Batumi". Chess24.com. 22 September 2018. 1 2 3 4 Mike Klein (10 August 2018). "Chess Olympiad Lineups Announced; Russian Streak Ends". Chess.com. 1 2 "43rd Chess Olympiad: Double gold for China!". FIDE. 5 October 2018. ↑ "43rd Olympiad Batumi 2018 Open – Ranking list after Round 8". Chess-results.com. 1 2 3 Mike Klein (5 October 2018). 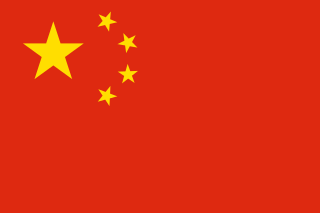 "Chess Olympiad: China Wins Double Gold". Chess.com. ↑ "43rd Olympiad Batumi 2018 Open – Ranking list after Round 9". Chess-results.com. ↑ Colin McGourty (6 October 2018). "Quadruple Olympiad gold for China: 16 conclusions". Chess24.com. 1 2 "The best player per board: according Ratingperformance – Open". Chess-results.com. ↑ "Final Ranking after 11 Rounds – Open". Chess-results.com. ↑ "43rd Olympiad Batumi 2018 Women – Georgia". Chess-results.com. 1 2 "Final Ranking after 11 Rounds – Women". Chess-results.com. ↑ "43rd Olympiad Batumi 2018 Women – Ranking list after Round 6". Chess-results.com. 1 2 "The best player per board: according Ratingperformance – Women". Chess-results.com. ↑ "Gaprindashvili cup (Best federation = sum (open + women))". Chess-results.com. ↑ "89th FIDE Congress – 89th FIDE Congress". FIDE. ↑ "89th FIDE Congress: General Assembly Agenda and Annexes". FIDE. 1 2 3 Peter Doggers (26 November 2015). "U.S. Sanctions Kirsan Ilyumzhinov For Supporting Syrian Government". Chess.com. ↑ "FIDE presidential race is all set". ChessBase. 4 July 2018. ↑ Peter Doggers (3 October 2018). "Dvorkovich Elected FIDE President". Chess.com. ↑ "Independence Day of Georgia and the 43rd Chess Olympiad mascot". Batumi Chess Olympiad Organising Committee. 26 May 2018. 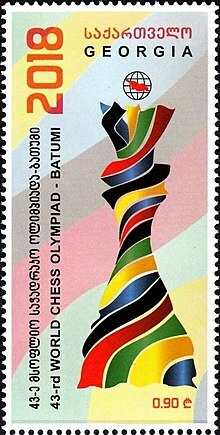 ↑ "The Postage Stamp of Batumi2018". oficial website. 17 May 2018. ↑ "43rd CHess Olympiad Batumi – Invitation" (PDF). Batumi Chess Olympiad Organising Committee. p. 7. Retrieved 24 September 2018. ↑ "Batumi 2018: Tea "Gurieli" is the Olympiad's Sponsor". 20 July 2018. ↑ "Batumi 2018: "Water Sno" will be the sponsor of the Olympiad!". 17 August 2018. ↑ "2018 Batumi Chess Olympiad: Anti cheating Measures and Procedures". FIDE. 5 September 2018. ↑ "87th FIDE Congress in Baku". FIDE. 10 September 2016. ↑ "ECU General Assembly 2016 main decisions and information". European Chess Union. 12 September 2016. ↑ "Complaints and Decisions relating to Bulgarian Chess Federation". FIDE. 29 September 2016. ↑ "CAS Award – ECU vs Bulgarian Chess Federation". FIDE. 12 June 2017. ↑ "Transfers in 2018". FIDE. ↑ "Kirsan Ilyumzhinov announced his resignation as FIDE President". FIDE. 27 March 2017. ↑ "FIDE president denies media reports on his resignation". TASS. 27 March 2017. ↑ Christian Lowe; Mark Heinrich (27 March 2017). "World chess body chief alleges plot to oust him: TASS". Reuters. ↑ Frederic Friedel (28 March 2017). "Power struggle at the top of the chess world". ChessBase. ↑ "Кирсан Илюмжинов: Я не планирую уходить до выборов в 2018 году" (in Russian). Russian Chess Federation. 30 March 2017. ↑ "Letter of Mr. Makropoulos to Mr. Ilyumzhinov". FIDE. 29 March 2017. ↑ Colin McGourty (27 March 2017). "Ilyumzhinov resigns… or does he? (updated)". Chess24.com. ↑ "Letter from FIDE Treasurer regarding FIDE Bank Account". FIDE. 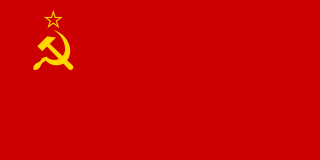 13 February 2018. ↑ Macauley Peterson (14 February 2018). "FIDE's bank account closed". ChessBase. ↑ Peter Doggers (29 June 2018). "Ilyumzhinov Withdraws From FIDE Presidential Elections". Chess.com. 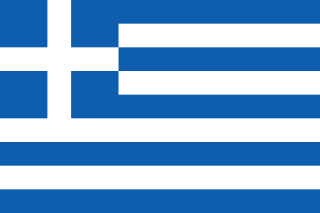 Wikimedia Commons has media related to 43rd Chess Olympiad .